Celebrate her birthday in style with this 14 karat gold necklace! 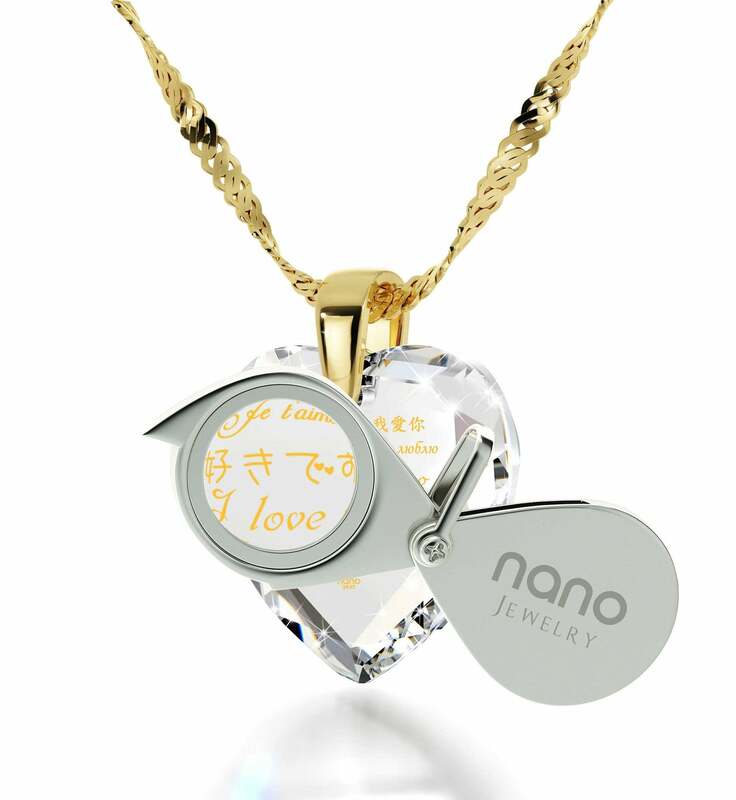 Picking out a gift that conveys how much you treasure your wife needn’t be difficult if you keep in mind that it should come from your heart and speak to hers. 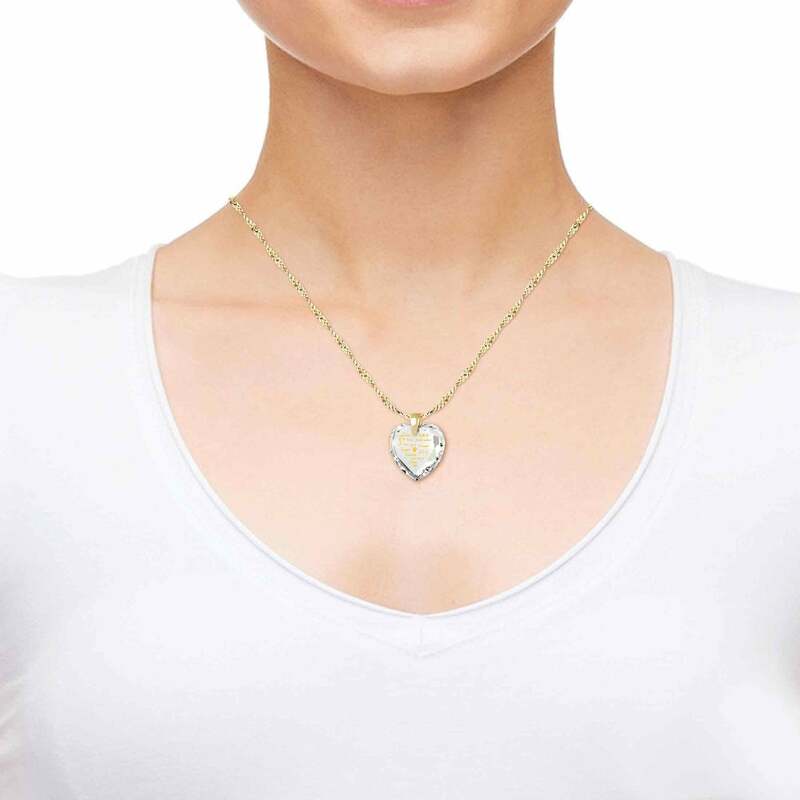 A simple message presented by a tasteful gift for a woman can mean more than you know, and this dainty gold necklace is a prime example of how powerful a message it can send. 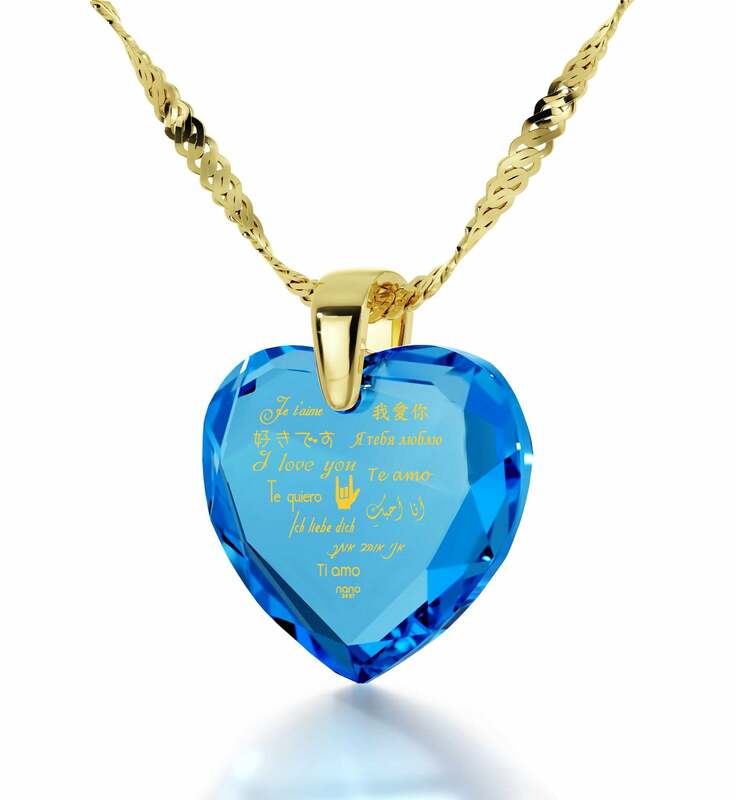 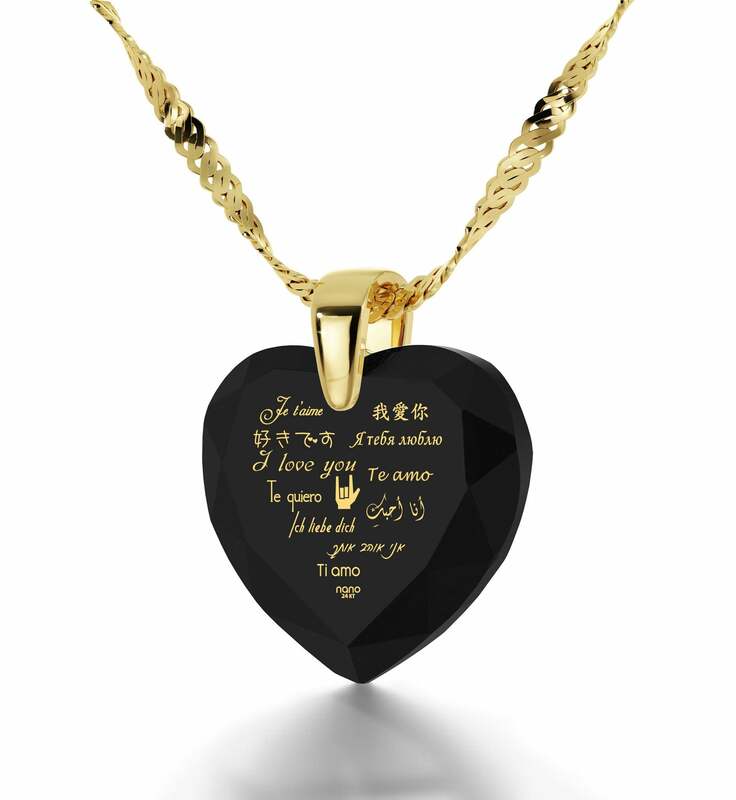 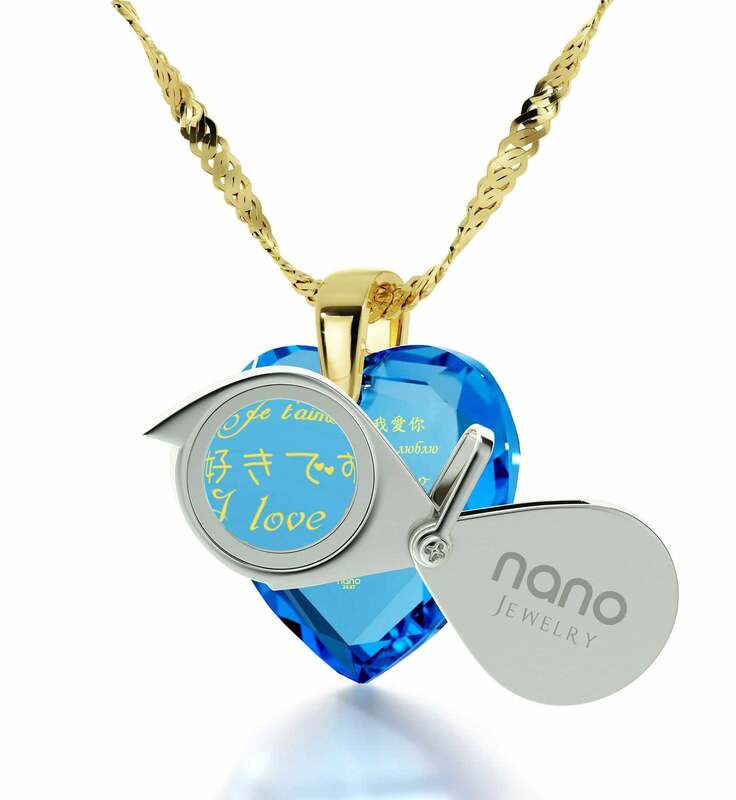 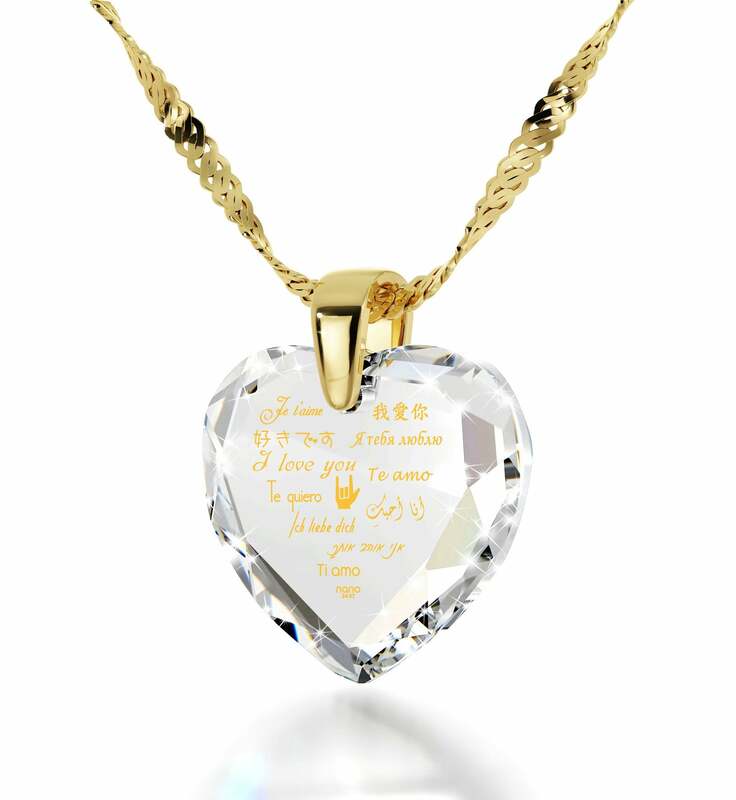 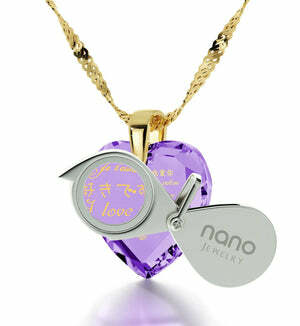 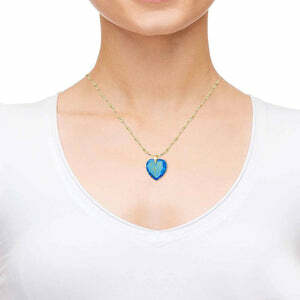 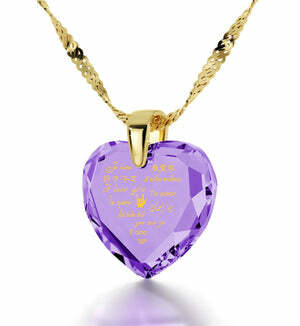 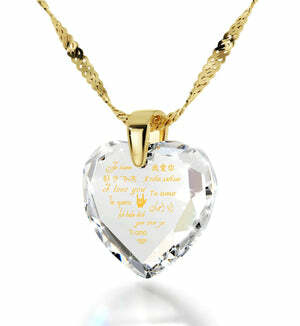 Unlike other wife birthday ideas you could find anywhere else, this is a genuinely meaningful necklace whose high quality and deeper meaning are hard to surpass. 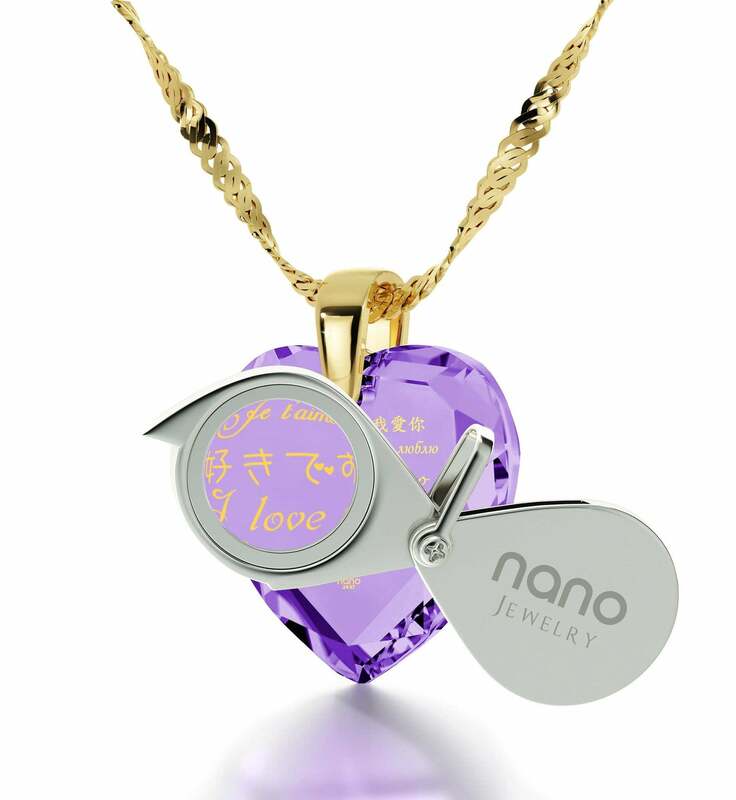 She’ll be convinced of the former as soon as she runs her fingers over its fine Italian chain. 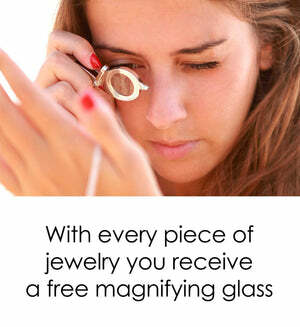 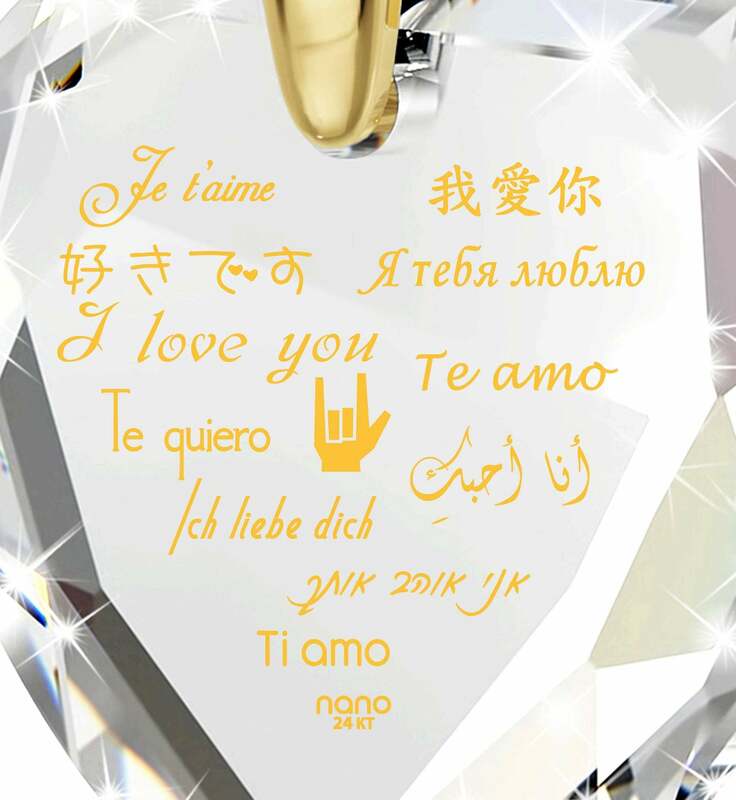 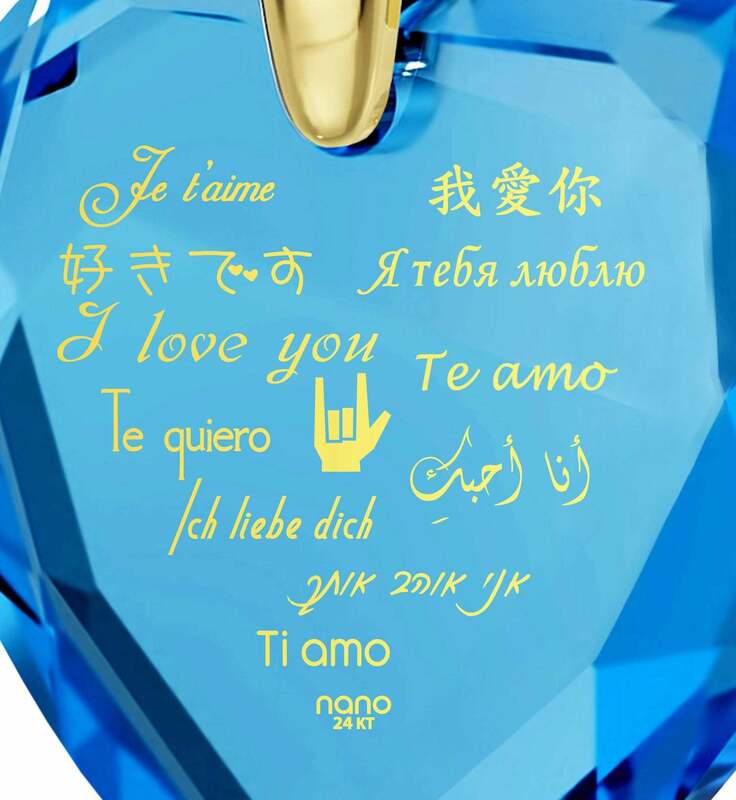 You can impress her with the latter by pointing out that the inscription on its vibrant Cubic zirconia gem is made with pure 24k gold in a way that makes it last forever. A unique thing about this is that literally no one else in the world can create such intricate golden designs, making its uniqueness more than just an idle boast. 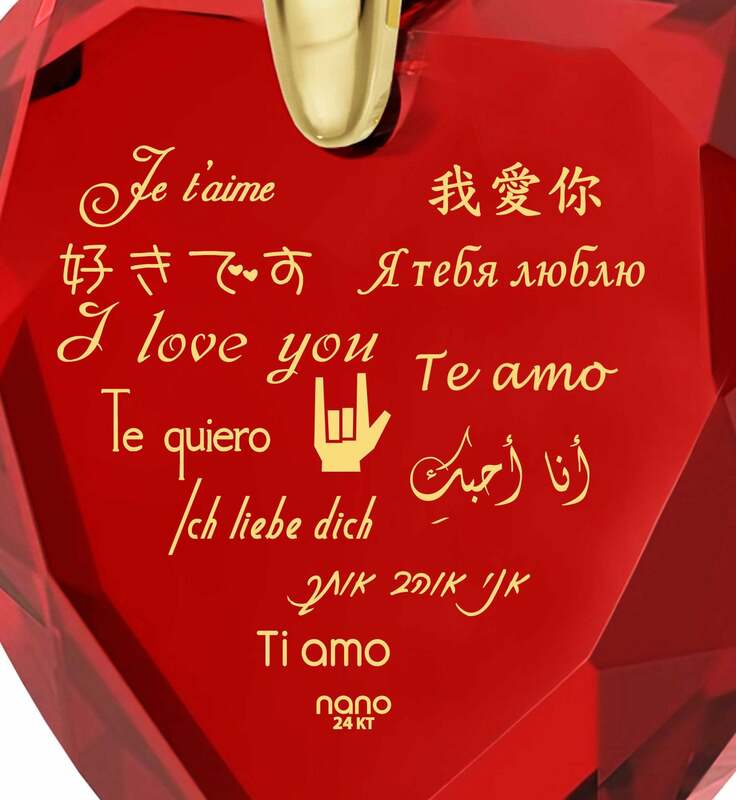 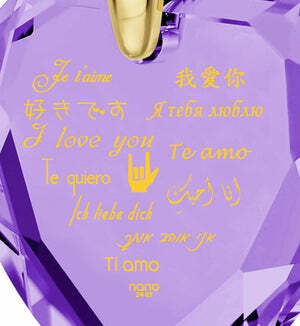 The imprint will let her explore love in different languages as it reads “I Love You” in 12 of them.